Easy to use Grill with Superior Cooking Capabilities I just got this grill…it’s a state of the art tabletop grill. 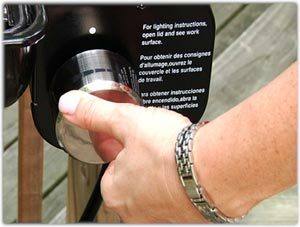 The grill is already put together, so it’s essentially ready to be used “out of the box”. 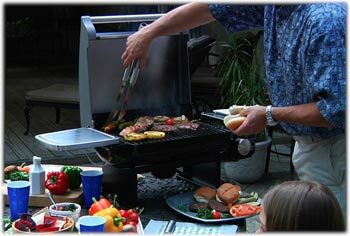 The grill is very light, so it’s efficiently portable and easy to carry. It can fit on small or large tables and comes with a stainless steel veggie plate that is great for cooking vegetables, kabob’s etc. 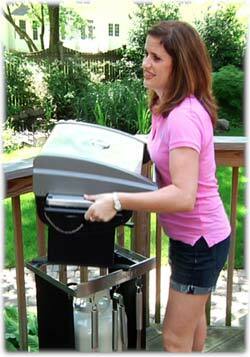 It’s got a easy to attach catch pan dipper that just slides on under bottom of the grill. 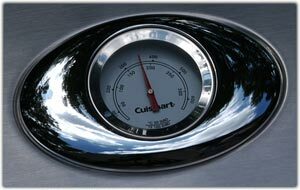 The grill starts immediately (push and turn to light the burner) and the heat comes on quick; the temperature gauge on the top is very accurate and allows superior cooking capabilities, which is the best part of this grill. i cooked chicken the first night i got the grill, and it came out perfectly. For those of you using Weber or other more commercial grills, I’d recommend looking at this. I use to have a weber, used for tailgates etc – this grill is 10 times better and reasonably priced for it’s quality.